Hollie swapped Art for History on Friday. She decorated her sketchbook to celebrate. It is some of my favourite work. Calling all UK Residents: Save the Badgers! Unfortunately, they are also in serious danger: the UK government is planning on a badger cull to prevent them spreading TB to cattle in various parts of England, even though it is unlikely that decimating a large portion of the species will do anything except decimate a large portion of the species. My understanding of badger-life isn’t great, but I do know that cutting out part of food chain will seriously affect ecosystems, which is a really bad thing. A cull would not actually stop the spread of TB to cattle anyway, it would just slow it down because nearly three-quarters of the badger population, in some areas, would disappear for years. Thankfully, lots of people agree with me. People like my uncle, who shot the above video, some scientists advising the government and the 24,000 people who signed an online petition. Which, if you are a resident of the UK, you can sign. Please do. I have had the pleasure of watching a badger out and about in real life – as in, about eight feet away, in my uncle’s garden. They are very interesting animals and since the option of vaccinating them against TB is a far better long-term solution than shooting them, I highly recommend you become a hippie for five minutes too. The bloke that started that petition, by the way, knows what he’s talking about. 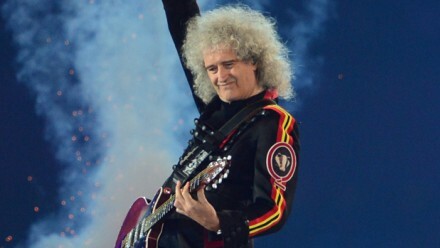 He’s technically a doctor of astrophysics, but he’s also an animal rights campaigner, CBE and rockstar. 2 Comments Calling all UK Residents: Save the Badgers! **UPDATE** We are now only accepting images due to technology and time restraints. But don’t let that stem your creativity! Since it’s Mikey Way’s birthday I thought I’d write something MCR-related for a change (there’s a Mikey art appreciation post on The Webways). I can’t remember how much I have/have not discussed this, but, along with PerceivedOrder, I have been doing an MCRmy thing called #ProjectSnowflake. It started way back in April during #MCRchat, when Cassie asked if we would like to see Every Snowflake’s Different released as a single. The majority of us said “Yes please!” and after chatting about it for a while, Perceived and I came up with the idea for #ProjectSnowflake. It is a mission to make a video of Snowflake (or snowflake) related art accompanying a message asking the band if they would consider working with Yo Gabba Gabba! and releasing the song, perhaps as a charity single, around Christmas. The art itself can be in the form of a video (you laughing at the band’s costumes counts as art), a clip of a younger friend or family member rocking out, a painting or drawing, a Photoshop logo, anything. Just show your appreciation for the song and its message, and include the hashtag #ProjectSnowflake. I’m working on my piece at the moment, and I’d love it if you lot could get involved. For those of you who have forgotten the genius of the song, it’s here. You can either email your contributions to indifferentignorance@hotmail.co.uk or submit them to the MCRmy.com thread, by 28th October 2012. Hint: it’s my birthday on Wednesday and My Chem-related gifts are always the shiniest. It’s also a year today since I started 10 Years, 10 Days. How ’bout that… Sceptic Psychic, MCRmy Project Extrodinare Crazy Lady. Leave a comment Try to Post. Fail. Try Again. Fail. Try Again. Fail?